PaperKraft.net caught a great piece of paperkraft that’s very fitting for the Japanese summer. 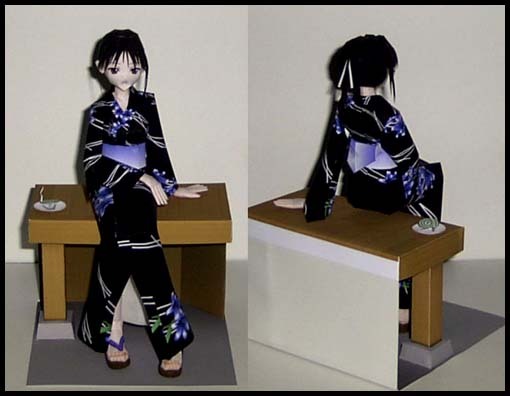 This papercraft female is wearing a kimono thats 100% made of paper. If you have never head of papercraft before, it’s sort of like origami for the 21st century. PaperKraft.netÂ houses an amazing collection of papercraft from movie characters and props, to moe anime characters and objects.